A report has been published which relates to a campaign to secure payment for those artists who exhibit work in publicly funded museums. Here are links to the report and some of the key articles which precded it. 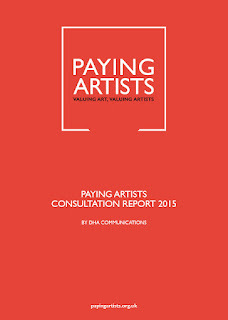 The Paying Artists Consultation Report 2015. I'm not quite why the a-n makes the report inaccessible to anybody who is not a member (unlike their last report on this topic in 2014). That doesn't seem to me to quite fit with the notion of promulgating the concept they're advocating for. Or is it pay to read as well as pay to exhibit? 90% of artists and galleries support the campaign’s key aim that artists should be paid for exhibiting in publicly-funded galleries. 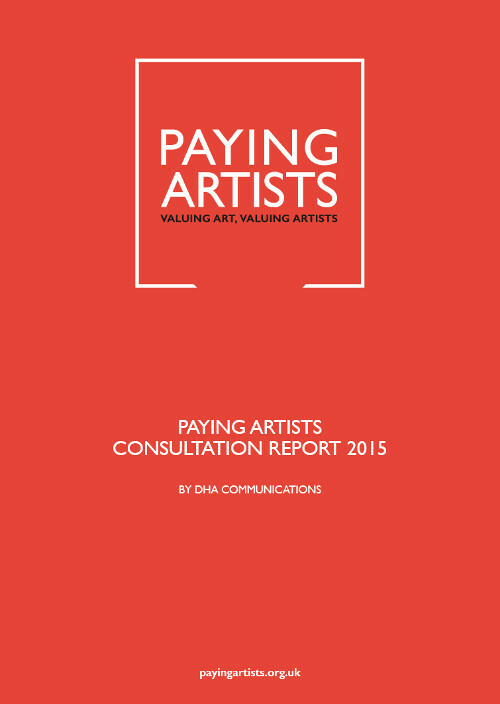 more than 70% of galleries and 80% of artists want to see national principles and guidelines for exhibition fees. Over 70% of artists and almost 60% of galleries want greater transparency about how galleries work with artists. Pay was one of the key issues for the arts sector in 2014, which is reflected in the fact that two of our most read pieces of the year covered income, fees and expenses. This is an alternative perspective - Rant 106: The Paying Artists Campaign. I have some sympathy.